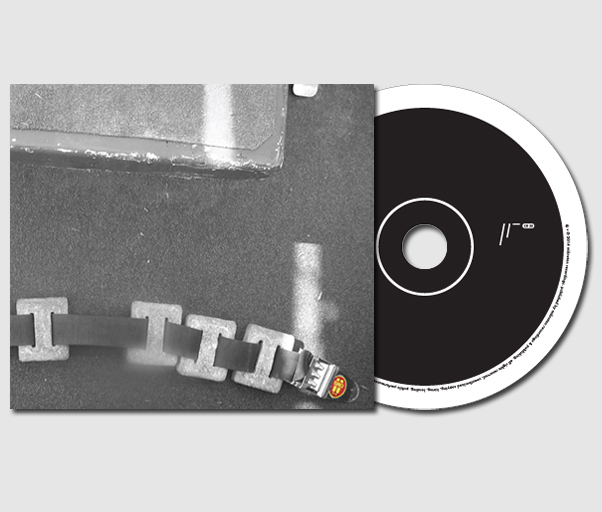 new Mikroton Recordings releases in 2014 – Chain D.L.K. Can you say something about a quartet for guitars? Well let’s start with why “Affetuoso e sostenuto”? And what about those track tittles: “Ineptitude”, “Awkward”, “Gaucheness”, “Underwhelm” and “Failing”? Google “Affetuoso e sostenuto” and probably a reference to Haydn will appear on the screen, a nine minute section from his String Quartet Op. 20. No. 1 ( the third movement). For the musicians on this recording after an examination of the score their very first instruction was to listen to and watch a recording of the Lyndsay String Quartet performing this third movement, seeing… the first violinist Peter Cropper gulping in air, holding his breath, contorting his face, utterly immersed in the moment, we watch the sensitivity of each movement, the communication within the group, this is how we are going to play, this is how we going to relate to the score, but no! NO!! We can’t possibly just copy their performance, and anyhow the possibility of attempting to enter the tradition of the classical string quartet world would be delusionary. That’s true, but haven’t you in the past said we (all of us) need to place our work right alongside a Haydn Quartet for comparison? Yes, you’re correct, but on recognizing and accepting our failure in this regard we could become inspired by how Haydn constantly broke the rules, we set about to explore fresh areas of responses like ineptitude, awkward, gaucheness, underwhelm and failing. 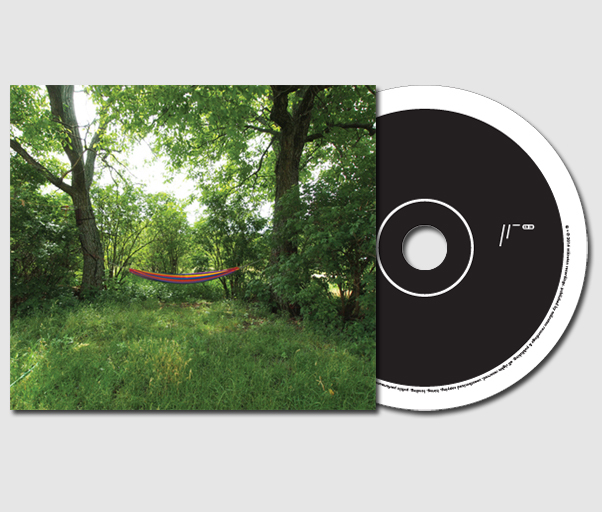 So the track tittles don’t relate to each track, but are an indication of areas of responses? But I hope you don’t mind me saying… they seem very uncomplimentary…insulating even! Hmm… yes I understand that, but I wanted to escape the descriptions of gorgeous or beautiful, stunning, striking, arresting, prepossessing, captivating, bewitching, beguiling, engaging, charming, charismatic, enchanting, appealing, delightful, irresistible etc. But why do you feel the need to escape from these responses? Oh! It seems so easy to shove the disc into the player and respond with “Gorgeous!” or “Fascinating, darling!” I’m not interested in reading a description of the music, but would rather it was ripped apart, examined, rejected or accepted, understood to see what it is saying. How it relates to Sturgeons’ law, tear it apart delve into its innards, get your hands dirty, fail. Again and again. Do you mean you are looking for unwanted zones or expressions? A possible response on listening might be a sense of awkwardness of uncertainty? Of maybe not knowing? Yes exactly! The track tittles are the responses. Maybe you could say something about the score and its structure? The score is nine one minute strips, played in any order, then repeated over and over in different orders. Spread across the nine minutes there are twenty two motives and twenty eight spaces, the choice of a nine minute duration was Haydn Op. 20 Affetuoso E Sostenuto, and to encourage endless variations and development also tips a hat in the direction of the father of the string quartet. How did you rehearse the piece? Were there any particular ways to visualize the score? So… did you succeed or fail? Hell, no! Of course, not!!! Friederike Mayröcker. Und ich schüttelte einen Liebling. A veritable mind excitement is taking place when Tamara Wilhelm, Kazuhisa Uchihashi and noid meet on stage. The members’ individual background of musical research is present in every moment of their interaction. Kazuhisa Uchihashi’s lifelong experience in music, his involvement with the Japanese Theatre Group “Ishinha” and leadership of his group Altered States for almost 30 years or his work with Otomo Yoshihide’s Ground Zero. Calling him an accomplished guitar and daxophone player would ignore the fact that he is only using this tools to talk his very personal musical language. The custom made DIY electronics Tamara Wilhelm is using in the trio are only the tip of an iceberg of an ongoing interest in the use of simple sound electronics in improvisation, sound installations and electronic composition and so on. Also noid’s works span a wide range of contradictory outcome between sound installations, videos and composition. What makes his cello playing special is his approach to find a world within instead of trying to expand the range of the instrument. Looking at the instrument as a fact or maybe even a score in itself without obeying the historical connotations. They are a trio, but they don’t try to be a band. Rather they willingly embrace the lucky coincidence of playing together in an improvisation that is not free but determined by very defined musical personalities, a strictly non-hierarchic play in ever changing flowering constellations. Never searching for consensus, always giving the others room to talk. …and then one day is followed by another without the fundamental questions of life being solved, don’t you think? Angélica Castelló, Billy Roisz, Burkhard Stangl and dieb13 are the four musicians most respected and prominent in the world working in a wide area of contexts from rock and improv to electroacoustic improvisation and other forms of experimental music. They live and work in Vienna being the protagonists of Viennese klingtorgian scene as well as travelling and collaborating with musicians from other parts of the planet. You already know all of them due to our release of “Klingt.org: 10 Jahre Bessere Farben” in 2009 commemorating the scene getting 10 years, where they appeared on many tracks of the compilation. Angélica Castelló, from Vienna although born in Mexico City, studied classical music in several conservatories in her native town, Montreal, Amsterdam and Vienna where she stayed and became an active force behind many new groups and concerts series like “Neue Musik in St. Ruprecht” which she organizes to this day. She co-founded such ensembles as Low Frequency Orchestra, frufru, cilantro, subshrubs, Chesterfield, Plenum, Zimt and others. Billy Roisz, from Vienna, is an audiovisual and music artist who has been manipulating her video in various formations since 2000. She is a co-founder and member of NTSC / RISC (with dieb13), AVVA (with Toshimaru Nakamura), Skylla (with Silvia Fässler) an Ona (with Ilpo Väisänen). She works with video feedback and audiovisual interactivity exploring the ways sound and image coasesce to form a sprawling experience. Burkhard Stangl, from Vienna as well, can easily rest without any introduction being the remarkable guitarist held on high regard by critical community. He explores the full range of guitar, its dynamic, harmonic and melodic as well as noise spectrum. This adaptability allowed him to get to work with a wide range of contexts, from collective projects Polwechsel (until 2004), Efzeg, SSSD and Schnee to collaboration with dieb13, Taku Sugimoto, Taku Unami, Kai Fagaschinski, Christian Fennesz and others. dieb13, also from Vienna, hiding behind many aliases, is a highly talented turntablist and composer, who has worked with a wide range of groups like Efzeg, Swedish Azz, (Fake) The Facts, John Butcher Group, Läuse, NTSC / RISC and others. dieb13 got a grant for his compositional works and wanted to extend and explore the possibilities of his timeline score application “KluppeTimeLine/KTL” and hence Scuba was born, a timeline composition for 4 improvisers lasting for 43 minutes. It gives some strict playing instructions but also leaves a lot of space and time for improvisational embodyment. The score of graphical elements and text instructions are shown on 4 separate, synchronized computer screens. The title of the album comes from the fact that it has several mothers and fathers. One is the social continuity of the quartet that plays the piece, Castello, Roisz, Stangl and dieb13 have been travelling, philosophizing, drinking and having fun together since many years. Another is the observation that Castello’s Paetzold flute sometimes sounds very similar to dieb13′s self programmed computer effects and they both sound like a scuba-diver under water. All this led to the creation of the piece and it’s world premiere on Friday, 13th, 2013 at Alte Schmiede in Vienna. All this you can hear on this album. Weird recording for Mikroton featuing a duo recording of Keith Rowe and Alfredo Costa Monteiro and a quartet recording of them with Ilia Belorukov and Kurt Liedwart, two recordings made at the same day at spina!studio in St. Petersburg during Teni Zvuka 2013 festival. Keith Rowe is mainly known as the pivotal and crucial musician standing in the forefront of the first wave of the European free improvisation, co-founder of AMM in 1965 and inventor of tabletop guitar playing techniques which remained his central sound tool until now and which he extended with a lot of electronic and other gadgets and devices. 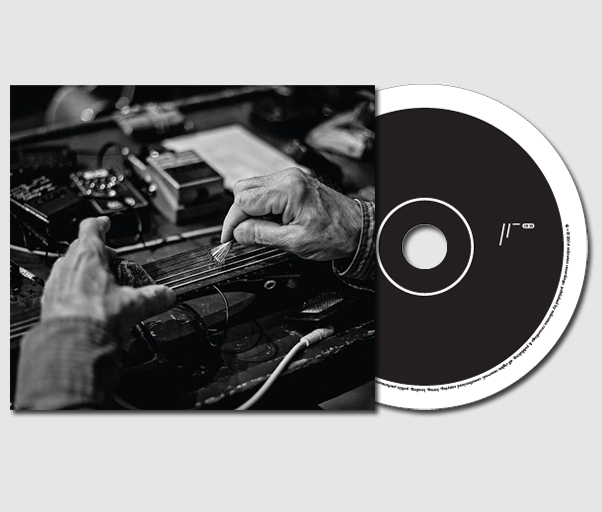 It’s his third release on our label following “Shifting Currents” with Bill Thompson and Rick Reed and his composition “A Quartet For Guitars” performed last winter in 2013 with his Nantes colleagues Emmanuel Leduc, Anthony Taillard and Julien Ottavi, the quartet which is known as NG4 Quartet. Alfredo Costa Monteiro is a musician with almost the same biographical details which you find in Rowe’s, both studied art and unexpectedly moved to music and sound art worlds. He’s mainly interested in unstable processes and raw gestures, often manipulating objects as instruments and instruments as objects what you actually hear in his playing manner of accordion here. He workins in his other projects like Cremaster with Ferran Fages, I Treni Inerti, Astero and 300 Basses. Ilia Belorukov hails from St. Petersburg and works mainly with prepared saxophone in the field of improvised, noise and electroacoustic music. He’s a member of different projects like Wozzeck, Wooden Plants and others. He practices an experimental approach of sound extraction on alto saxophone and uses laptop, electric guitar, drums and other instruments. He also runs our partner Intonema label and organizes with us Teni Zvuka festival in St. Petersburg and Moscow. In 2009 he joined his forces with Kurt Liedwart, a Moscow-based musician and curator of Mikroton Recordings and organizer of Teni Zvuka festival. When the duo started Liedwart was using only sinewaves and field recordings adding more sounds and noises with time. Liedwart works mainly with computer, electronics, synthesizer and objects, sometimes deleting the line separating concerts from performances or installations, at the same time he’s known as active in the fields of electroacoustic improvisation and sound art. In 2013 Kurt Liedwart with Ilia Belorukov decided to invite Keith Rowe and Alfredo Costa Monteiro to the 4th edition of Teni Zvuka Festival. It was the first time when they played at the same festival’s recording sessions together in duo and in quartet with Ilia Belorukov and Kurt Liedwart. Their duo recording forms an exchange of personal experiences that bring the music into rather dry territories, with an acute sense of musicality. They conjured a unique sound world with accordion and prepared guitar, combining different sound qualities at the same moment. The quartet recording goes even beyond prevalent methodologies of working with sound, unpushingly pushing the sound around and violating many rules of the nowadays improvisation. I´ve had the fortune of following the talented musicians of Triac over the few years of existence. There seems to be a great deal of interesting things coming from Italy at the moment. Triac are in the forefront of the scene that incorporates sound design into improvised and contemporary classical music. 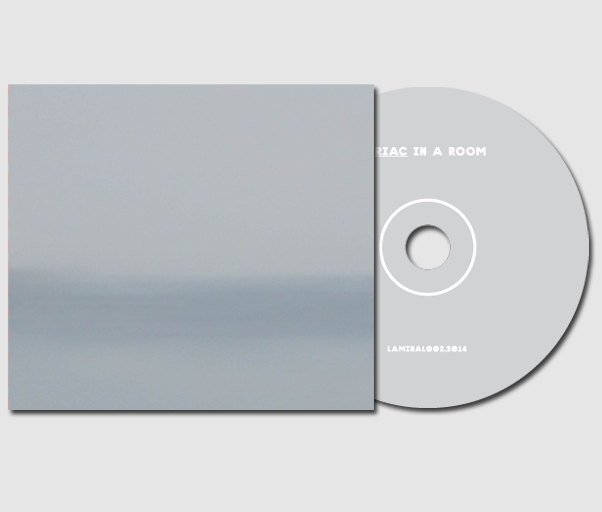 Triac is an electronic music trio from Italy formed in the end of 2011 by Rossano Polidoro (ex Tu m’, Line USA), Marco Seracini and Augusto Tatone. They use laptop, fisa, electric bass, piano synth to investigate minimal ambient music. They create audiovisual art installations about relations between sound space atmosphere and natural elements.